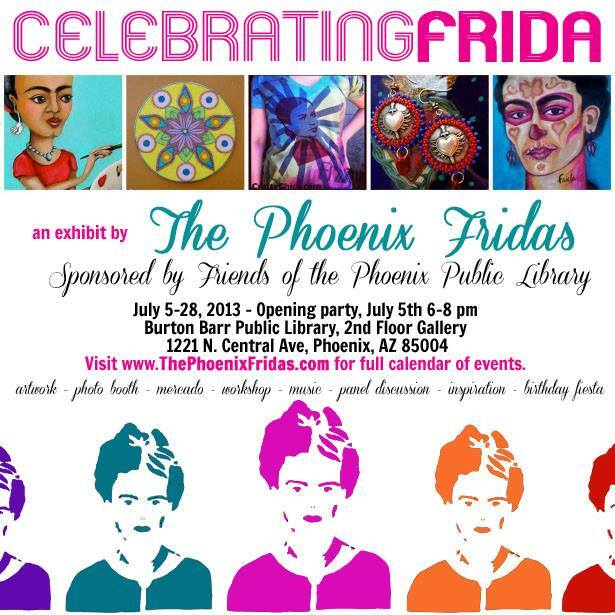 “Celebrating Frida” new exhibit by The Phoenix Fridas! 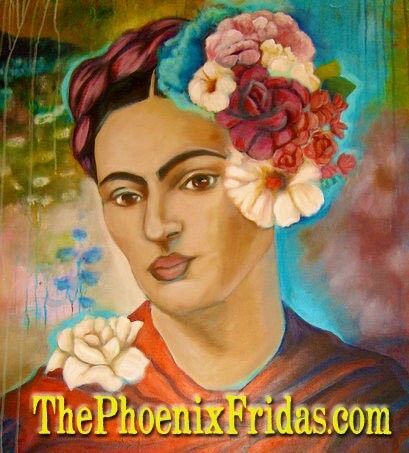 Have you ever heard of The Phoenix Fridas? It’s an art collective I belong to here in Phoenix. There are 10 of us and every year we present an event to celebrate Frida Kahlo’s birthday! Here are all the details for this year’s event which kicks off on Friday night! Join us this July as we once again celebrate the life, art, and inspiration of Frida Kahlo! Opening reception: Friday, July 5th, 6-8 pm: Come meet and mingle with The Phoenix Fridas, as they unveil their show and talk about their work. Music by Carmen Guerrero and Maya Murillo. 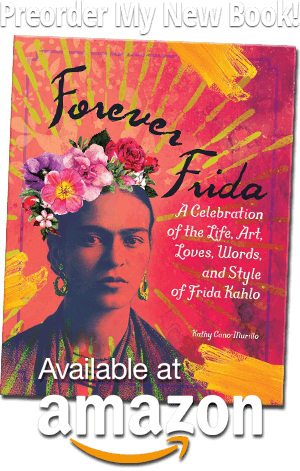 Frida Birthday Fiesta: Saturday, July 6, 1- 4 pm: Come dressed up as Frida and receive a FREE Frida swag bag (first 25 people!). 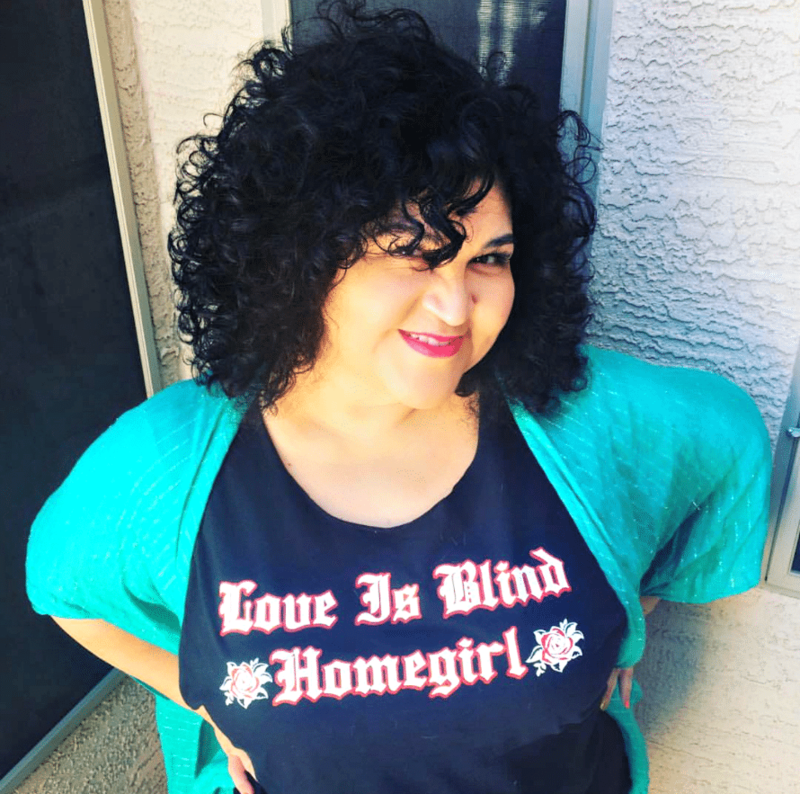 Music, munchies, mercado, make-and-take craft, Loteria game, and more! Music by Carmen Guerrero and Maya Murillo. Phoenix Fridas Panel Discussion: Thursday, July 11, 6-8 pm. 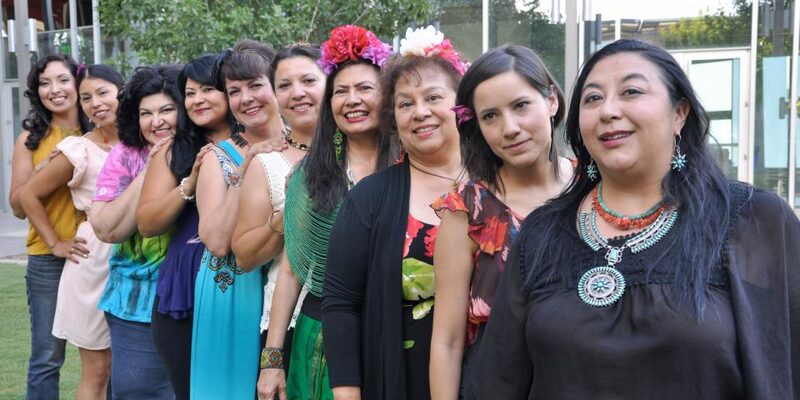 Selected members of The Phoenix Fridas will discuss how Frida influences their lives and work. 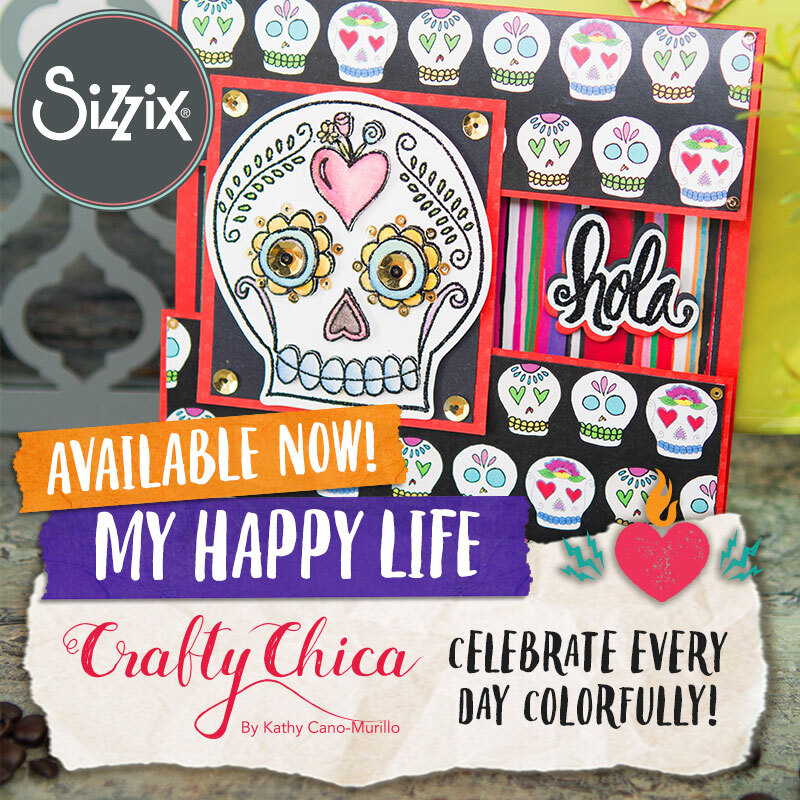 Frida Shrine Workshop with The Crafty Chica: Join Crafty Chica in this three-hour class, where you’ll make an artful, glittery shrine, inspired by Frida. All supplies provided, but bring your own photos/mementos if you’d like. Limited spaces. Call 602-262-4636 and pres option 2 to sign up for your spot. Next ArticleSix Awesome Weekend Projects!